So last week we had our showcase and I must say we have some talent in the house! 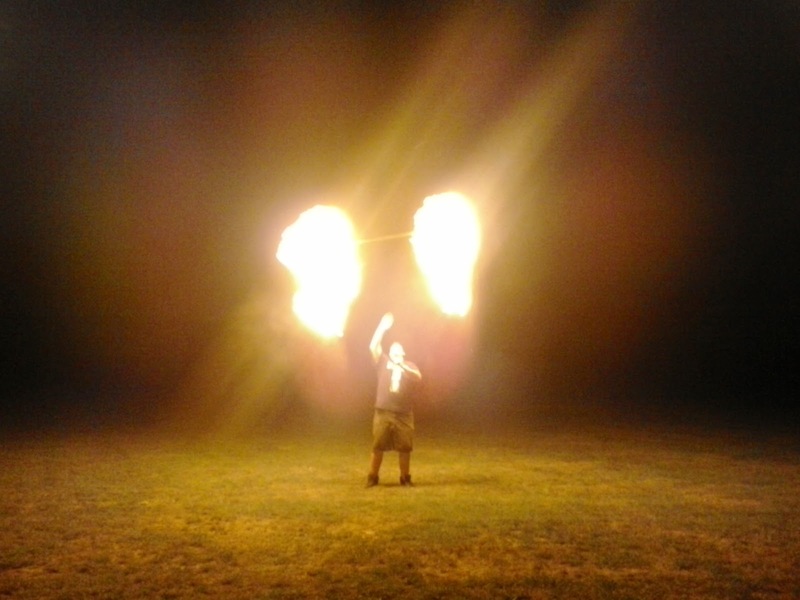 From silks, to juggling, fire double staff to fire poi, lyra to trick hooping, diablo to contortion, fire fans and of course the fire eating and fire breathing! Not everyone could make it and hence this blog is all about it. First up we had an indoor non fire show which ran incredibly smoothly, minus one performer's music going missing... but we solved that hiccup wayyy before it became a problem.... (about two minutes before she was to perform hahaah). If the inserted video does not work for you click the link and take a look at this Mash up for mind blowing awesomeness! I would also just like to make a special congratulations to Nicole our contortionist. This was her first on stage performance and she totally rocked it! Keep it up! 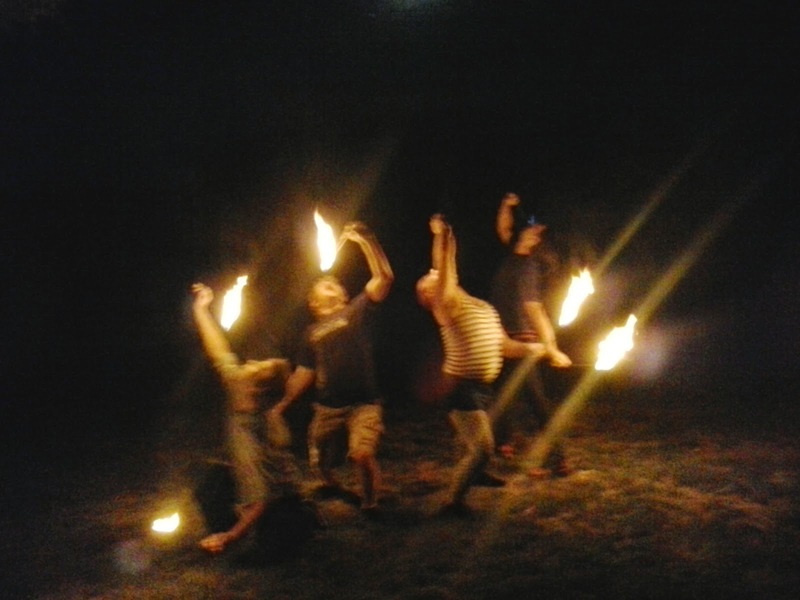 For our outdoor half we had some impressive fire acts but pictures always explain it better then words. 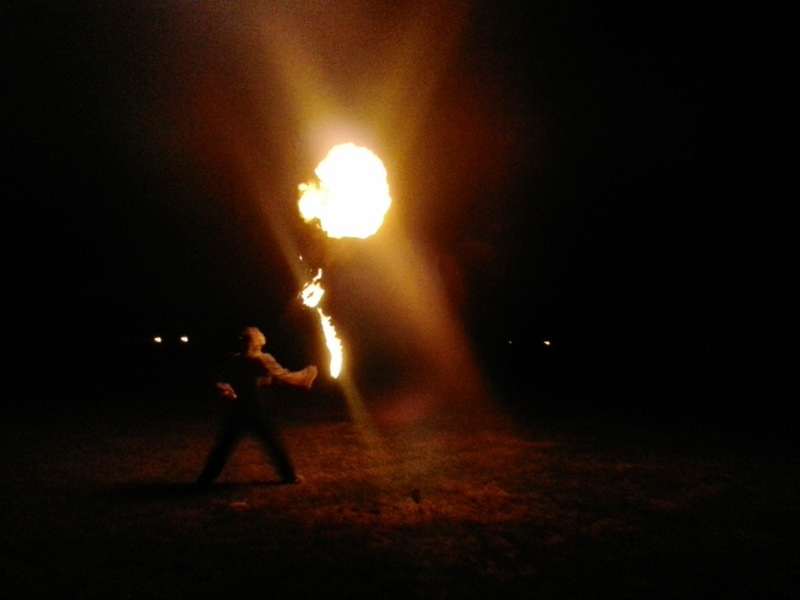 Our resident fire breather wowing the crowd. 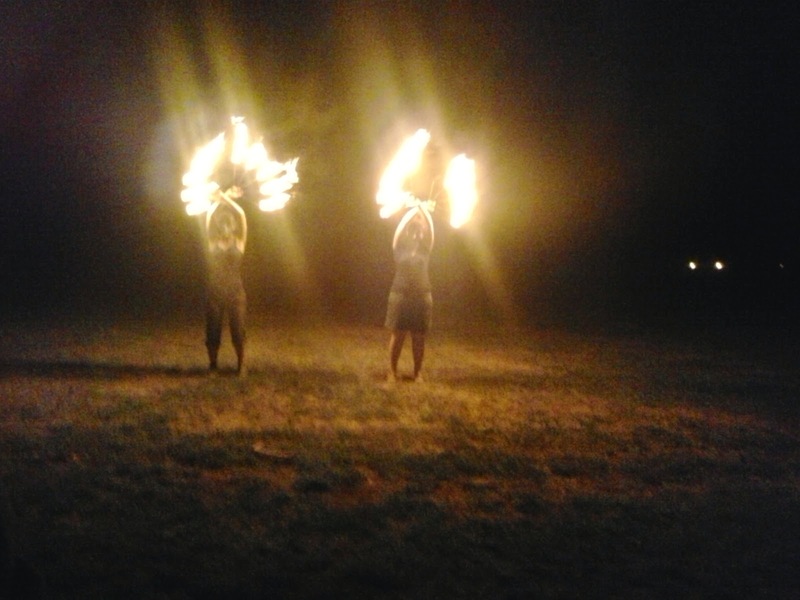 Synchronized fire eating... you don't see that everyday. Fire Fans! Their first fan performance on fire! Smoking hot. Enjoy! And hopefully some more (higher quality) photos to come!